California continues to be a national leader on electric vehicle (EV) equity. 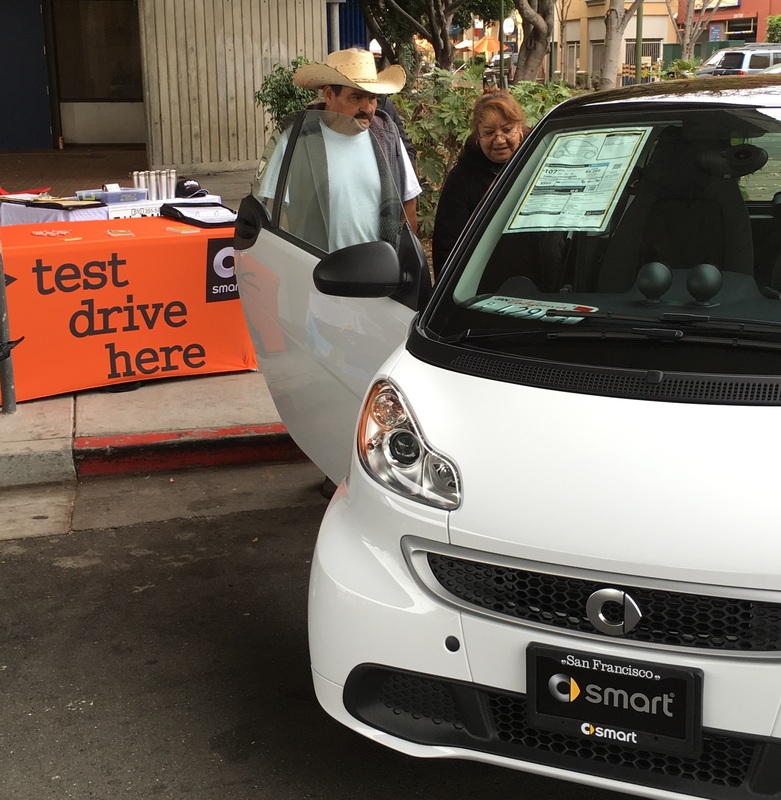 Yesterday (March 29, 2016), California took a critical step in getting new EVs into the hands of low-income drivers. The California Air Resources Board (CARB) changed eligibility requirements to the Clean Vehicle Rebate Project (CVRP), spending limited dollars more equitably and working to make plug-in vehicles a real choice for working class Californians who can benefit the most from the clean air benefits and cost savings EVs provide. The CVRP provided rebates to all Californians: $2,500 for battery electric vehicles like Nissan Leafs and Teslas and $1,500 for plug-in hybrids like Chevy Volts and Toyota Prius plug-ins. Now, low- and moderate-income drivers who have household incomes less than or equal to 300 percent of the federal poverty level will qualify for increased rebates. For example, a person making $35,640 (or less) will now qualify for $4,000 in rebates for battery electric cars and $3,000 for plug-in hybrids. An applicant living in a four person household with a combined income of $72,900 (or less) can also get the increased rebates. Applicants will have to report income on CVRP applications, and will be subject to random income-verification checks. Also, moving forward, wealthy Californians will not be eligible for plug-in hybrid and battery electric vehicle CVRP rebates. Applicants making more than $250,000 for single tax filers, $340,000 for head-of-household filers and $500,000 for joint filers can no longer get CVRP rebates. This change will ensure that folks like Mark Zuckerberg can’t use limited CVRP dollars to buy their Teslas. Nonetheless, we must do more to ensure the income cap saves rebates for consumers who need them most. These changes resulted from the Charge Ahead California Initiative (SB 1275, De Leόn), which directed CARB to place an income cap on CVRP, as well as advocacy by the Charge Ahead coalition calling for increased rebates for low- and moderate-income drivers. The Charge Ahead bill also directed CARB to create equity programs that increase access to clean transportation in communities most impacted by pollution and poverty. Greenlining, along with Coalition for Clean Air, Communities for a Better Environment, Environment California, and the Natural Resources Defense Council, co-sponsored SB 1275 and helps to implement the bill as part of the Charge Ahead coalition. People of color are hit hardest by dangerous vehicle pollution, are the fastest growing consumer segment in California, and are an increasingly important political constituency. California needs at least 4 million plug-in electric vehicles by 2030 to meet our 2050 greenhouse gas reduction goal. Right now, California is nearing 200,000 plug-in vehicles sold. Another fact: California will not meet its EV, climate, and air quality goals without low-income communities of color. These changes to the Clean Vehicle Rebate Project put us on the right path. For more information and real stories about how policies like the Charge Ahead California Initiative are benefiting underserved Californians visit UpliftCA.org.